Introduced over 30 years ago as the only non-surgical treatment for OSA, PAP devices have become smaller, quieter and provide many more features to enhance compliance. Referred to as the gold standard since its introduction, PAP (Positive Airway Pressure) is the most common and effective method of sleep apnea treatment. PAP devices have multiple components; to use the device, a small comfortable mask or nasal pillows are fitted over the nose leaving the mouth uncovered. Patients must sleep with their mouths closed, aided by a chin strap or a full face mask that covers both the nose and mouth, while the device gently blows air into the nose at a pressure slightly higher than the surrounding air pressure. The first form of PAP therapy was CPAP (Continuous Positive Airway Pressure) and when introduced these devices were bulky and awkward. CPAP "Continuous Positive Airway Pressure". CPAP has been proven to be the most effective treatment for Obstructive Sleep Apnea. 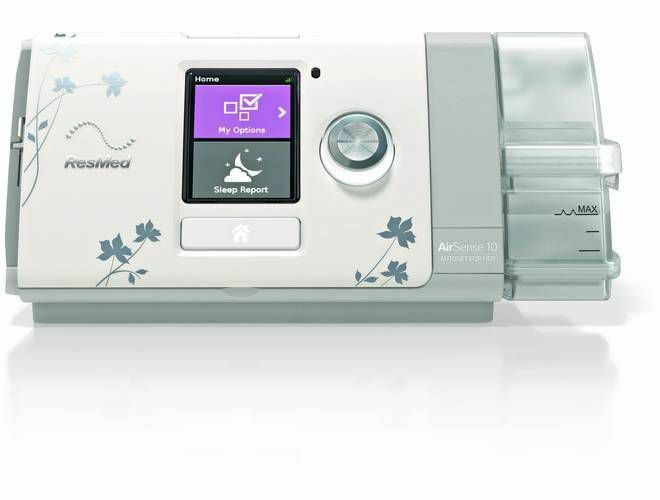 A CPAP machine will blow a steady, single fixed pressure of air that keeps obstruction from causing apnea events. An Auto CPAP is set to have a range of pressures with a minimal pressure and a maximum pressure that will fluctuate. Your doctor will determine your CPAP pressures after a Sleep Study is completed. The purpose of the CPAP machine is to eliminate your sleep disordered breathing events. One of the most important components of CPAP therapy is finding the proper CPAP mask. Our trained sleep technician will show you a variety of options to make sure you feel comfortable and feel the benefit of your CPAP therapy. Guardian Sleep offers a 30 day mask exchange program to make sure you are compliant with your therapy. BiLevel is a positive pressure airway device that offers two separate pressure settings. The first pressure is the inspiratory pressure and the other is called the expiratory pressure. ASV "Adaptive Servo Ventilation". This type of device is a non-invasive ventilator treatment option created specifically for the treatment of obstructive sleep apnea and central sleep apnea.